This powered Unwinder, with Tension Arm, automatically tracks label usage and provides powered label feed at speeds up to 125 cm/sec. 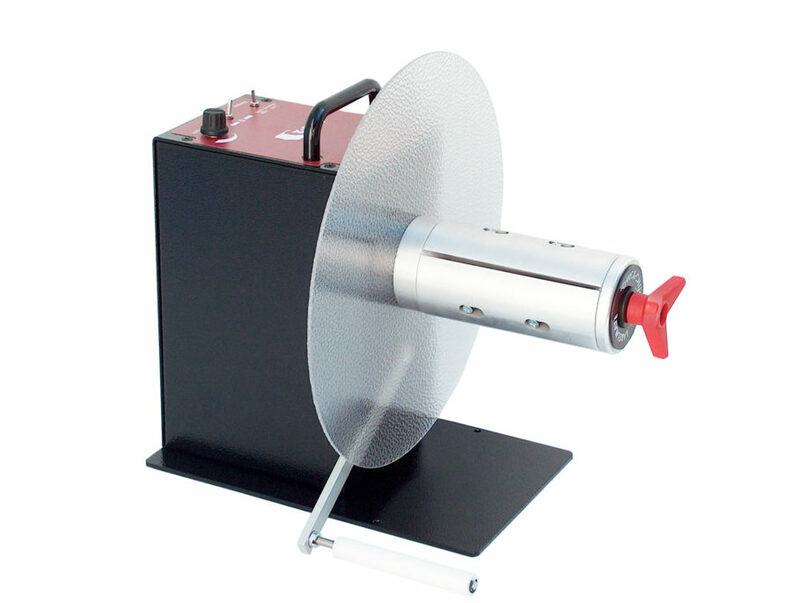 It handles labels up to 170, 220 or 270mm wide and will wind a roll of labels up to a 300 mm diameter. This model includes durable “Quick-Chuck” quick-locking Core Chuck, permitting the fastest loading and unloading of cores and label rolls. Rugged, heavy-gauge steel construction allows your UCAT-3-CHUCK Unwinder to be simply set in place. Special anti-slip feet keep the unit from moving.